A harmless channelling of obsessive-compulsive tendencies. I won't say a useful channelling, as I tend to use small scraps of paper as bookmarks when I use bookmarks at all. 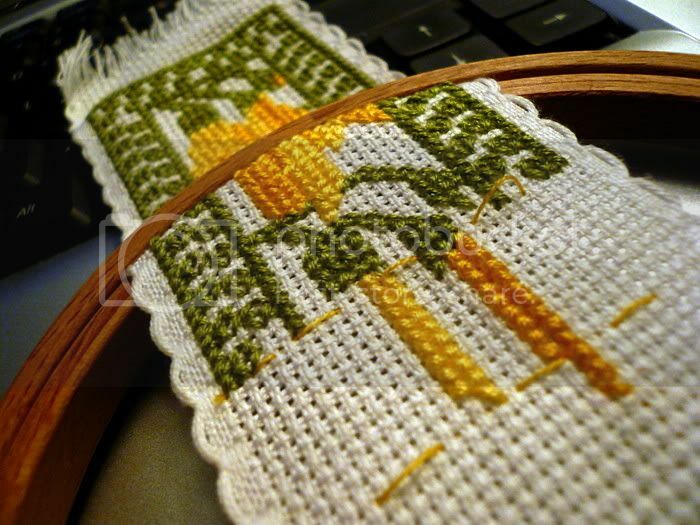 Looks like nice, neat cross-stitch. Paula would want to see the back of it, of course. Ah, yes. The back is - well - OK. You can tell from it that I tend to work from whatever direction seems easiest at the time.